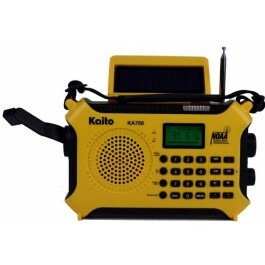 Kaito KA700 Bluetooth Emergency Hand Crank Dynamo & Solar Powered AM FM Weather Band Radio with Recorder and MP3 Player. 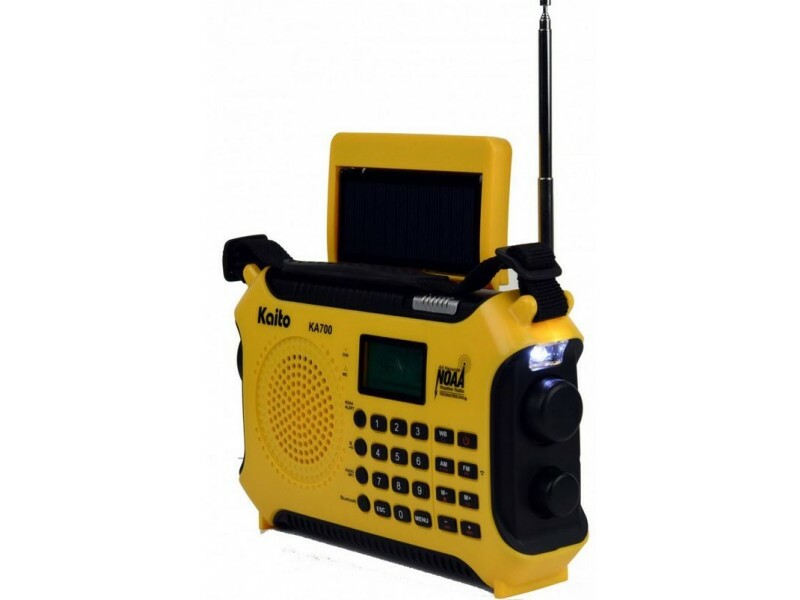 It has a rugged design that is perfect for hiking, camping and construction sites. 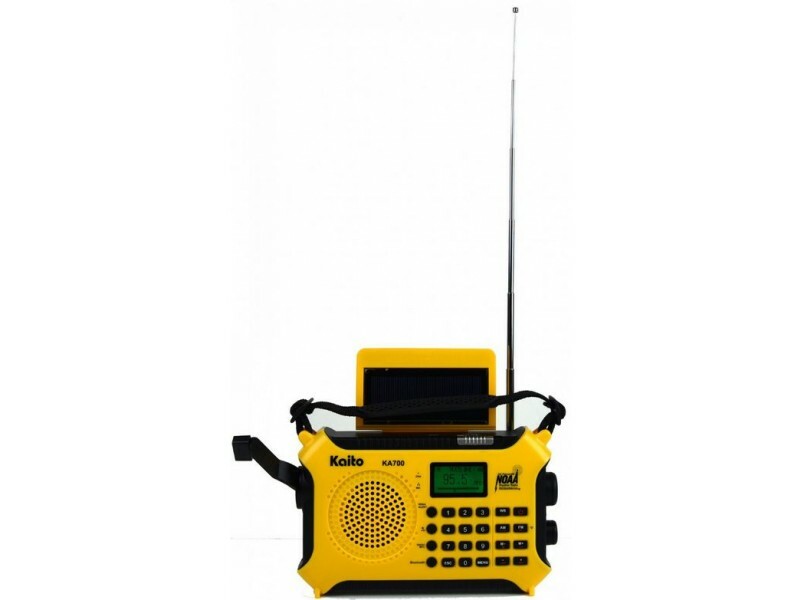 Kaito KA700 has a built in MP3 player, Bluetooth streaming from your cellphone or any Bluetooth enabled devices like any Pads, even from your computer via Bluetooth or Line in connection, and of course from the AM/FM and NOAA Radio stations. 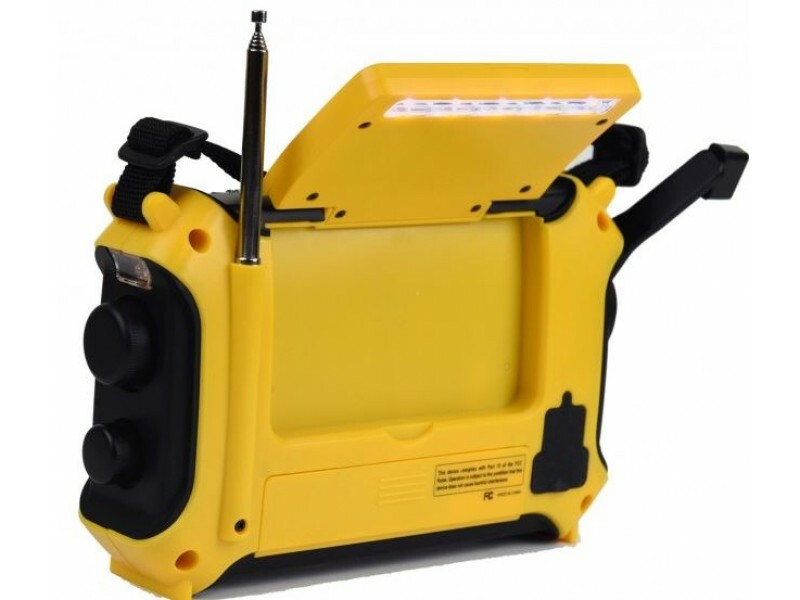 It is designed for outdoor use with a feature for emergency or daily enjoy! 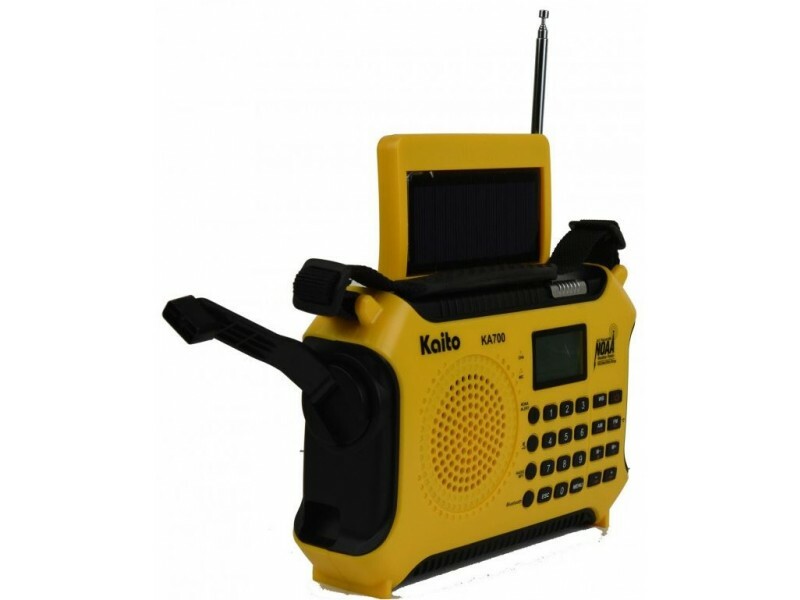 Kaito KA700 comes with 4 way powered sources that you can use in any emergency condition. 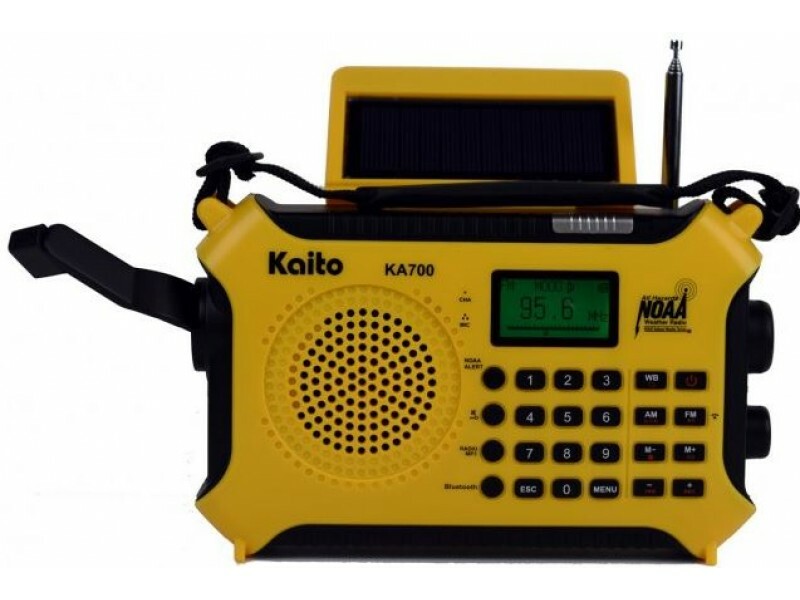 Kaito KA700 has an efficient dynamo cranking mechanism that generates power to charge the battery. 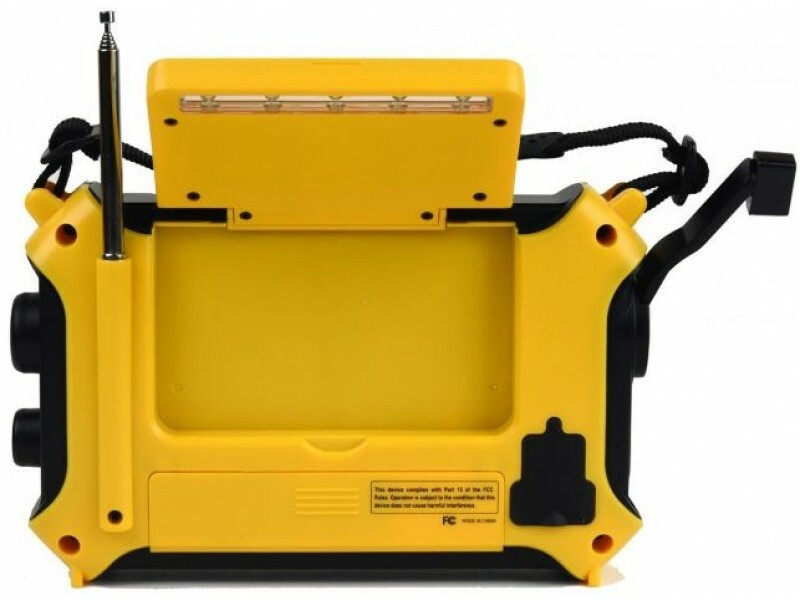 Its solar panel is big enough to trickle charge the battery under any sun light to keep the battery alive. A USB charger to charge the battery in a few hours and run the radio for days! 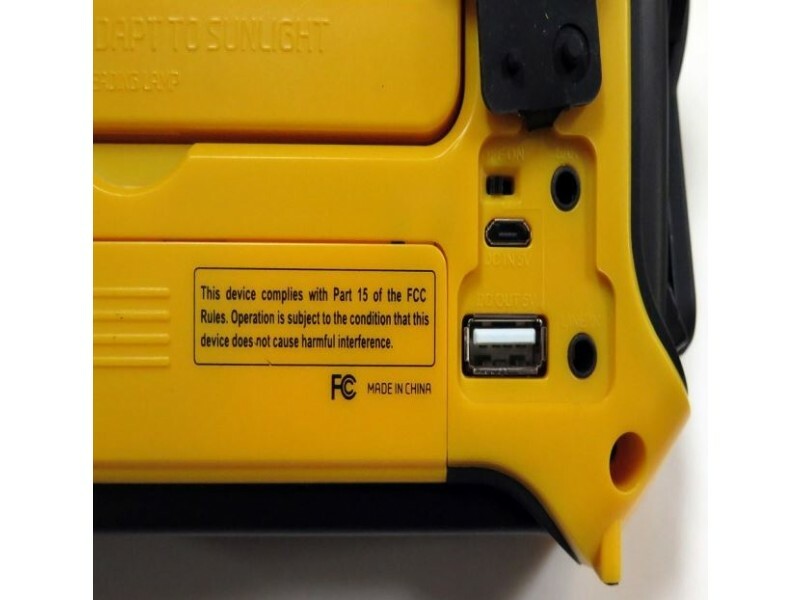 The radio has a TEXT Browser that lets you read your book after your load it to the SD card . It has 8 Languages for people to use it in some included are English,Chinese, Spanish, Korea, Japanese and French.